Is PureActive Blackheads Uprooting scrub made for me? Yes, if your skin is prone to blackheads and you wish to remove them while cleansing to prevent the re-appearance and clear imperfection marks. Concentrated Salicylic acid is one of the most efficient exfoliant actives. Apply on wet face. Gently rub the foamy cream across your face insisting on most affected areas and your T- Zone. Rinse thoroughly. Avoid eye contour. Massage with care concentrating on the areas prone to impurities (forehead, nose, chin) and take care to avoid the eye area. 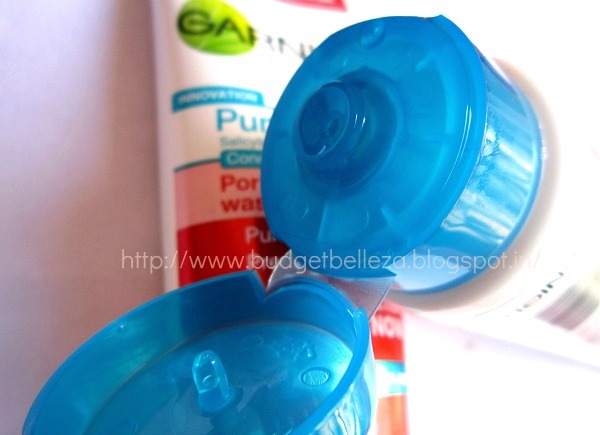 Garnier Skin Naturals Pure Active Pore Unclogging wash comes in a regular tube packaging. Though the flip open cap fits well with a clicking sound,yet there have been many complaints of product leakage. 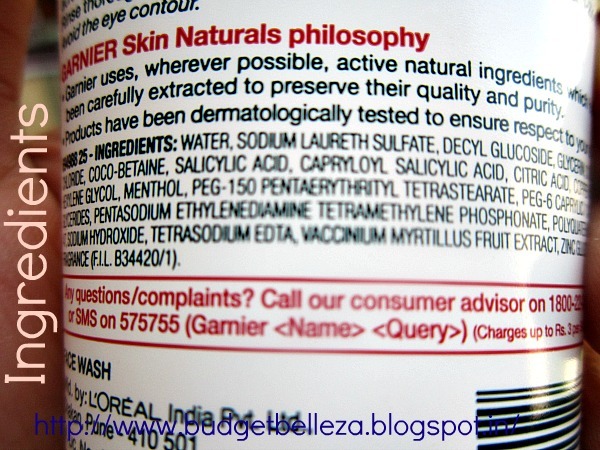 I would still say the problem is not with the packaging but with the consistency of the face wash! 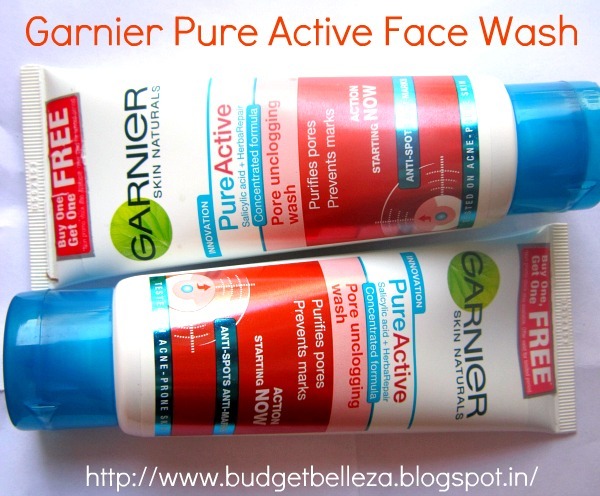 The consistency of Garnier Skin Naturals Pure Active Pore Unclogging wash is probably its biggest drawback. Its so so runny..OMG. Just take a look at the image below,it says it all! I opened the flip turned the tube upside down and squeezed...and Oh Boy! 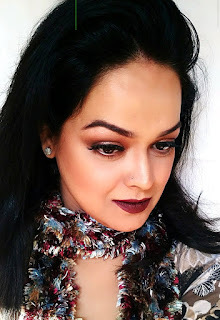 my hands were fully slathered with this Garnier Skin Naturals Pure Active Pore Unclogging was. Darn! this thing is crazy runny. Infact,a perfect exaggeration would be that this stuff is just a li'l less runny than water. This is why,I decided not to click the pic with the product in my hands..rather on my hand! The colour of the face wash is very pale bluish green.Its transparent and smells of menthol.I like its mint-meets-lime fragrance.Its refreshing to me. After washing it gives a cool minty feel to the skin. But it is quite drying to my already dry skin (though these are really high humidity days which give my skin an oily T-zone). 1. I like the outer packaging. 2. Has a refreshing fragrance. 3. Leaves behind a cool feeling skin. 4. A little amount lathers well. 2. Leaks even when the cap is tight enough. 4. Leaves behind a stretchy feeling. 5. Not travel friendly at all. Repurchase: I'm planning to use it up as a shower gel..do I need to say anything more? *P.S. Which is yours favourite daily face wash?